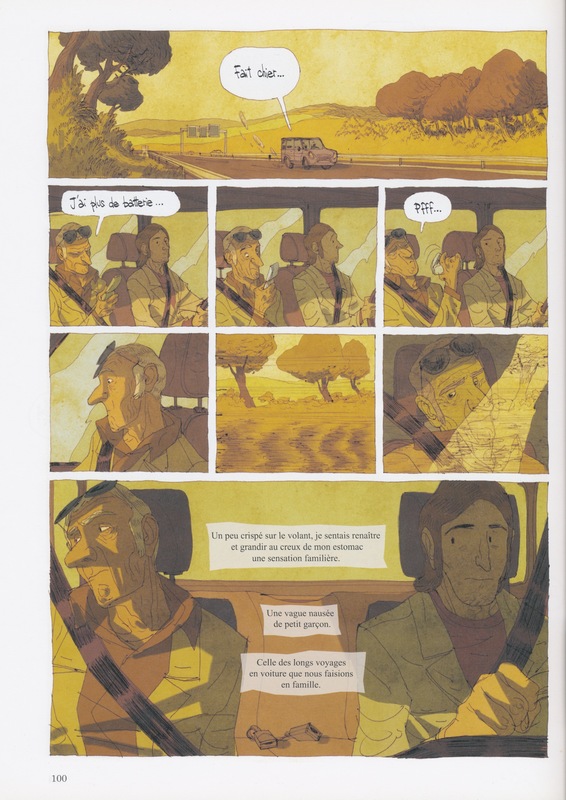 Souvenir: Cyril Pedrosa’s Brilliant and Beautiful Portugal | Comics Vacation! Already familiar with Three Shadows (First Second), I bought this book for myself as a 32nd birthday gift. 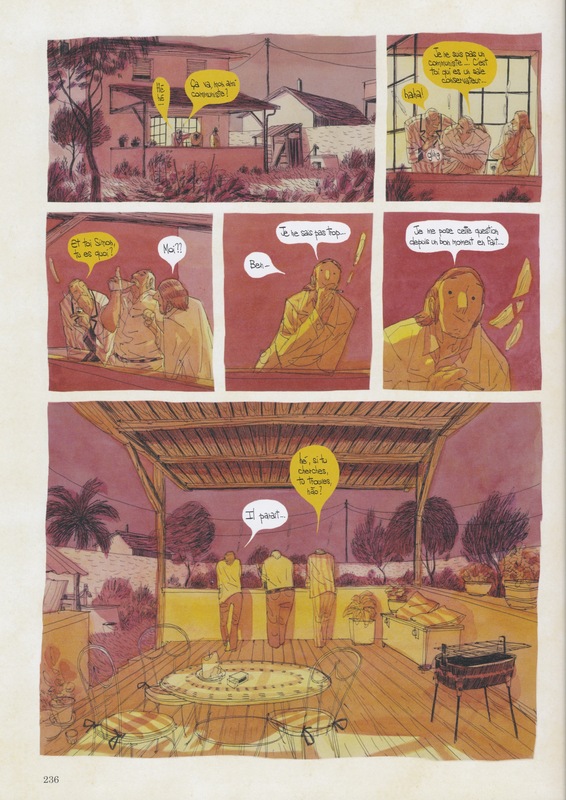 Portugal (Aire Libré/Dupuis) is an ambitious, introspective narrative with an incredibly expressive and lush palette; but beyond its technical virtuosity and dynamic color play, what this book does best is master human relationships. 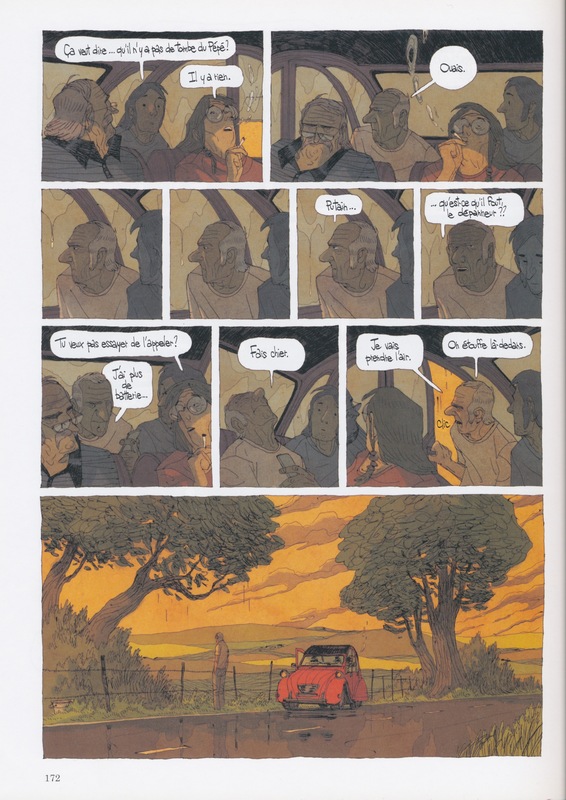 Pedrosa’s style—linework with a subtle shakiness—brings his characters to life through their flaws and vulnerability. 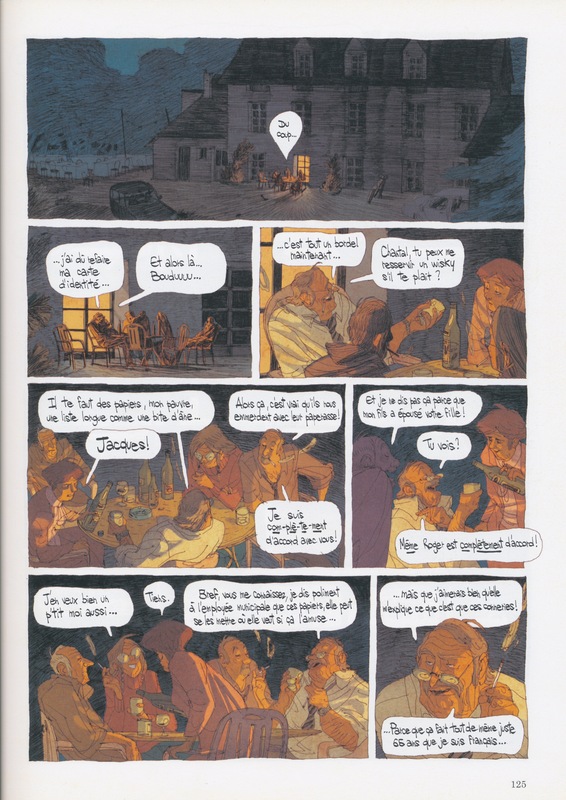 This is an unforgettable story about family: a story about generations and their personalities, a story about the promises we try to keep to ourselves and to each other. 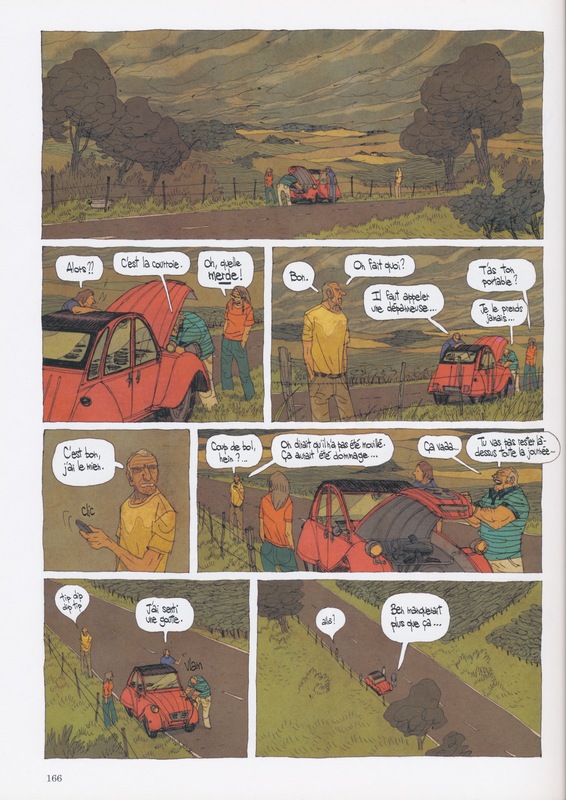 The story follows cartoonist Simon Muchat as he tries to shake stagnation and a wavering relationship by accepting an invitation to spend time with family in Portugal, where he has not been since he was a boy. The characters are complicated and authentic, and the story, sentimental without pandering. Their expressions and dialogue are so relatable that It’s easy to make these people your own family—because you already recognize them; it’s easy to get lost in their arguments, (the most beautiful arguments I’ve ever seen) and feel awkward in their tension. The magnetic dynamic is palpable; you can feel every tug of emotion. Every lull is made heavy with drama, and lingers long after the page has been turned. For Simon, the truth reveals itself in seemingly banal and familiar places; long, awkward car rides with a self-absorbed, disappointed father, where the silence speaks the loudest. But Portugal is far from dour. There are drunken, late-night conversations full of sweetness, cigarettes, and interruptions. There are breakdowns (automotive and otherwise), and cramped car rides that are hilarious and stressful, where brothers and sisters express their love through criticism, while they expose secrets and smoke pot. The sibling chemistry is explosive, surly, and realistic. With Portugal, Pedrosa is fully in control, but he allows his characters incredible freedom. They are confident and casual as they move about their lives, and the time you spend with them is intimate, dramatic, and joyful.